The Jewish Free Press, Calgary, May 9, 2003, p. 12-13. Kitov, Eliyahu. 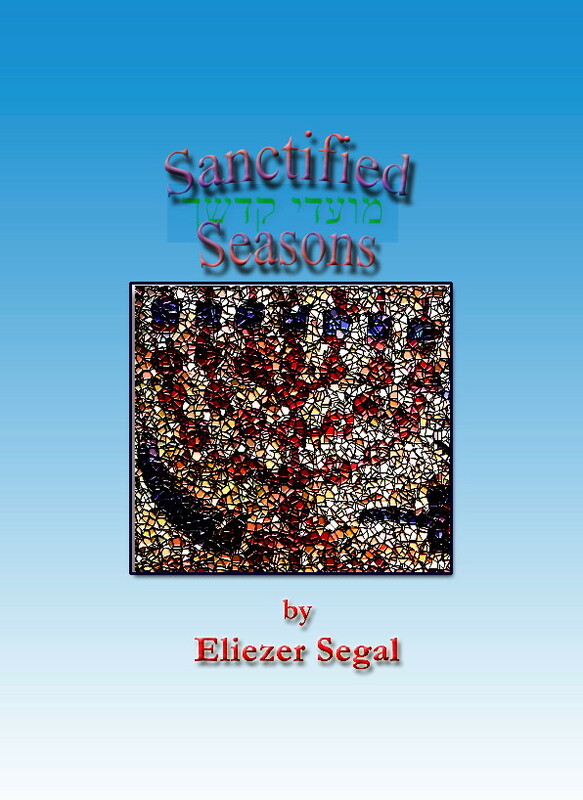 The Book of Our Heritage: The Jewish Year and Its Days of Significance. Jerusalem: Feldheim, 1978. Zevin, Shelomoh Yosef. The Festivals in Halachah: An Analysis of the Development of the Festival Laws. Translated by Meir Holder and Uri Kaploun Artscroll Judaica Classics. New York and Jerusalem: Mesorah Publications and Hillel Press, 1999. The image of frenzied crowds burning articles of clothing at a public gathering is one that seems appropriate for a rock concert or protest rally, but not quite what one would expect at a Jewish religious ceremony. Such, however, was the custom of the throngs who flocked to Mount Meron in the Galilee on Lag Ba'Omer to commemorate the yahrzeit of Rabbi Simeon ben Yohai. The Kabbalistic community that achieved such prominence and influence in neighbouring Safed venerated Rabbi Simeon as the inspired author of the Zohar , the most influential compendium of Jewish esoteric lore. The festivities at Rabbi Simeon's grave could take some startling forms. The noted nineteenth-century Sepharadic authority Rabbi Joseph Hazzan reported in alarm that the participants were in the habit of soaking valuable articles of clothing in oil and setting them on fire. The same practice was discussed in a responsum by the Galician scholar Rabbi Joseph Saul Nathanson. Both these rabbis had serious reservations about the entire practice of commemorating the death of a great saint by means of cheerful revelry. However, what irritated them most about the Lag Ba'Omer festivities was the burning of clothing. They insisted that the ritual was a blatant violation of the Jewish law known as "bal tash-hit" that prohibits unnecessary destruction of useful property. For their part, t he defenders of the practice were able to point to some impressive precedents from ancient Jewish traditions. For example, the Bible mentions the practice of burning on a pyre the robes and other personal possessions of a deceased monarch; while the Talmud observes that this custom was tolerated, and excluded from the category of outlawed pagan superstitions. Rabbis Hazzan and Nathanson retorted that this was a unique case, limited to dead royalty, and could not be applied to the current situation. The latter also noted that the practice was still in force in his day. Others, in their attempts to justify the burning of clothing, invoked the precedent of the Simhat Beit Hashe'uvah, the public revelry that took place in Jerusalem during Sukkot in the days of the Temple. The Talmud related that worn-out robes and sashes of the Priests would be shredded into wicks for the torches that would illuminate the city's courtyards during the weeklong celebrations. To counter this argument, it was retorted that there is a decisive difference between recycling old priestly clothing (which have no other permissible use once they have become unwearable) and setting fire to costly new garments, as was the custom at Meron. Undaunted in their determination to justify their practice, the garment-burners invoked the precedent of great Kabbalists and scholars who, they alleged, had themselves participated in the custom. The mystical circle of Safed rabbis included some of Judaism's most glorious names, including figures like Rabbis Isaac Luria (the Ari) and Joseph Karo. Rabbis Hazzan and Nathanson both refused to entertain the possibility that there was any truth to those reports. "It is obvious that the Ari and the other holy men who were in the land must have confined themselves to studying at his grave, and to reciting prayers and supplications over his death... Clearly, the Beit Yosef [Rabbi Joseph Karo] and his circle would never have allowed people to act in such a way." Other authorities favoured fasting, not feasting, as the appropriate manner of observing a saint's yahrzeit. The sages of Tiberias, while upholding the legitimacy of the Meron festivities, preferred that the value of the garments should be donated to the poor. The opponents of the custom concluded that it was no more than a recent innovation that had been incorrectly mistaken for a venerable tradition—so much so that many people feared that it would be sinful not to participate in it. In the late nineteenth century, the Chief Rabbi of Safed, Rabbi Samuel Heller, composed a special work entitled Kevod Melakhim (Honour of Kings) in defense of the Meron festivities. In his work, he attempted to demonstrate in painstaking detail that the burning of clothing in honour of Rabbi Simeon ben Yohai does not fall under the prohibition of gratuitous destruction, since it has a legitimate spiritual purpose. As for the charge that the deaths of great sages should be mourned rather than celebrated, Rabbi Heller countered that true joy and sadness are intertwined in profound ways. He explained that the purpose of burning expensive clothing was to demonstrate our humility and disdain for the material and physical pleasures that stand in the way of ultimate spiritual fulfillment. Not only did Rabbi Heller affirm that the Ari and other renowned sages had participated actively in garment-burning, but he insisted that some of them had acted in ways that were even more bizarre. In this connection, he invoked the precedent of Rabbi Hayyim ben Atar, who used to climb Mount Meron on his hands and knees while bleating like an animal and loudly proclaiming his worthlessness in the face of Eternity. The burning of garments should presumably be interpreted in a similar spirit, as a symbolic expression of the insignificance of this world and its possessions. In spite of all their discomfort with the garment-burning custom, Rabbi Nathanson and his supporters had to concede that their protests were unlikely to have much success in eradicating it. They therefore concluded that, under the circumstances, discretion might be the better part of valour. After all, they reasoned, if the celebrants persisted in their objectionable practice even after being admonished by the rabbinic leadership, then that would compound the severity of their transgression. Though I have never attended the Lag Ba'Omer revelries at Meron, it is my understanding that the igniting of clothing is no longer a prominent feature of the event. However, the popular gathering has taken on several other customs that are even more objectionable, whether in the form of pervasive drinking and gambling, or the illicit ransacking of construction sites to take wood for the bonfires. Though the pyres of Meron are said to symbolize the warmth and illumination of the Torah's mystical inspiration, it is very difficult to avoid crossing the fine line that separates a radiant glow from a destructive conflagration. The Jewish Free Press, Calgary, May 9, 2003, pp. 12-3.